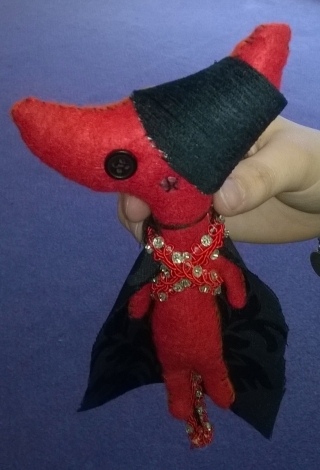 In April we went to the SJT to take part in a sewing and crafts event where we each ‘mindfully’ made a felt monster! The idea was to take our own insecurities or fears and make them physical whilst we talked about the issues and worked together as a group to overcome them! 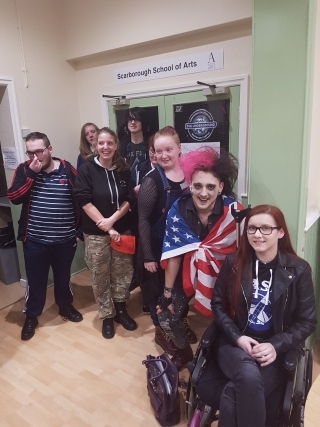 A group of Young Adult Carers enjoyed a meal out at Eat Me in Scarborough and then went over to Westwood Campus to see their production of Green Day's American Idiot! The musical itself was an amazing production and the carers met most of the cast back stage. Big thank you to Yorkshire Coast College for the complimentary tickets! We all had a great time! Sew Easy was a joint project between the Young Carers and Young Adult Carers services. It was a week long activity hosted by Carol Eves of Material Moves! The Carers and support workers designed and made their own custom outfits from scratch, some with no previous experience of this kind of thing at all! We had dance costumes, prom dresses and 50s inspired vintage garments. These will be showcased at an exclusive exhibition in December (more info on this to follow). We all learned some very useful skills that will last a lifetime. The Young Adult Carers and support workers had an amazing experience at Sci-Fi Scarborough! Decked out in amazing costumes we met celebrities, bought merchandise and even trained to be Jedi Knights thanks to ‘To the Hilt’ for their expert lightsabre tutelage! A special thanks goes out to the Sci-Fi Scarborough team for providing us with concession tickets, it’s much appreciated guys! May the force be with you!